The toughest job in corporate America, says Oracle CEO Mark Hurd, is the CIO’s. While I agree with Hurd’s assessment, I also believe that business-minded, forward-looking CIO’s have an incredible opportunity to play leading roles in the digital/physical revolution that is transforming every facet of our lives. CIO’s of the world, it’s time to jump into this revolution fearlessly and joyfully because your backgrounds, your perspectives, your expertise, and your imaginations are needed desperately by your companies as they attempt to engage deeply in this richly blended digital/physical mix—or risk slipping into a nonstop decline marked by unfixable difficulties, growing irrelevance, and, ultimately, oblivion. And as we head into 2016, I have to say that those prophets of doom, who just 12 to 18 months ago were so doggedly insistent that CIO’s were about to take permanent residence next to the Dodo, have changed their tunes, rewritten their histories, and realised that the vectors of profound change in today’s global economy—cloud computing, the Internet of Things, mobile everywhere, social lifestyles blending with social commerce, and the blurring of enterprise tech and personal tech—point to nothing but a greatly enriched future for smart and aggressive CIO’s. Accelerators of everything from product development to procurement, and from decision-making to deployment of resources as the epochal shift to cloud computing liberates huge chunks of IT budgets and paves the way for truly customer-centric business. Create New Revenue Streams. The digitisation of our everyday lives opens up huge possibilities for IT-inspired innovation in new products, new services, new data-as-a-product offerings, and other innovations that enhance customer engagement while also boosting revenue. Create a New Can-Do Culture. Cloud computing and the ongoing explosion of social/mobile services offer CIO’s superb building blocks for demonstrating to business units around the world that the IT organisation has permanently shed its “Dr. No” persona, with the initials “IT” now representing what the CIO’s team really stands for: innovation/transformation. Create Dazzling—and Relevant—New Apps. 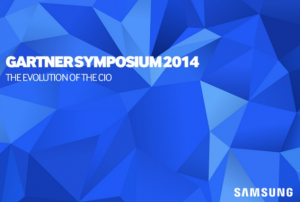 What percentage of the IT organisation is now focused on building customer-centric apps? How does that figure compare to last year? How much will it grow in 2016? World-class CIO’s will find ways to transform their teams into engines of customer engagement, with app creation at the centre. Evangelise the Business Benefits of Cloud Computing. Are you talking to the CMO about SOA, or about the lifetime value of customers? In the cloud, product-development cycle times are shorter, customer trends can be spotted more quickly, top performers can co-create career-development plans, and the CFO can stop being a historian. Are you telling these stories clearly and passionately? Evangelise the Power of Digital Business. As GE CIO Jim Fowler noted above, the marriage of digital capabilities with traditional products and services opens up big possibilities for creating new value for customers—new insights into how products are performing, which new services are most profitable, where to promote certain products at certain times, and which high-performing people are at risk of leaving. 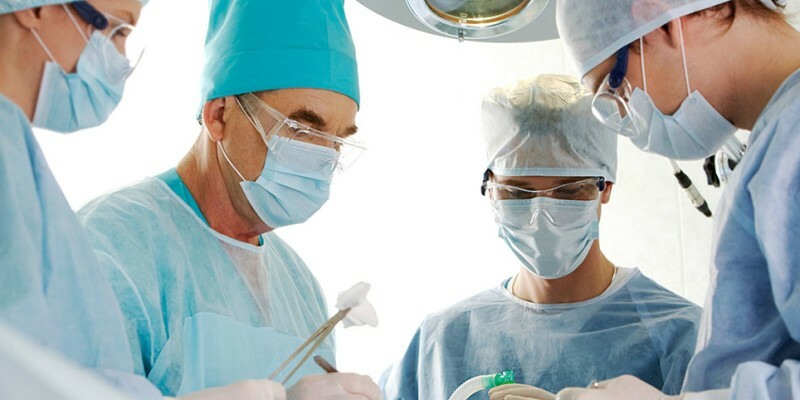 Transform Traditional Ideas/Silos of “What We Do.” Per the opening quotation of this article, wearable tech is starting to turn the medical field upside down, and we’re seeing digitally activated shelves in retail, intelligent sensors revolutionising preventive maintenance, ingestible medications, driverless cars, smart clothing, and much more. How can the CIO disrupt traditional thinking within her company by showcasing what already is, as well as what is possible? Transform Customer Engagement. A while back, the newly named CIO of one of Asia’s leading airlines described his company’s eye-popping realisation that top customers desired zero human interaction until they were actually on the plane. What customers really want is often greatly at odds with what we as businesses are accustomed to—or comfortable—delivering. In 2016, CIO’s must help lead the way in bridging this gap and driving customer-centric engagements. Transform Decision-Making from Gut-Level to Data-Driven. Think of the astonishing volumes of data residing within large organisations—and think how few of those valuable assets are being exploited to enhance the decision-making ability of employees at all levels of the company. CIO’s have a perfect opportunity to work with business leaders to unlock those data assets and put them to work in delivering real-world, real-time insights that create success for the business, for customers, and for employees. Accelerate the Reversal of the 80/20 Budget Trap via Cloud Computing. Before cloud computing, the #1 enemy of the CIO was the economic reality that about 80% of his IT budget would be consumed by low-value maintenance and integration. Because cloud computing pushes that burden over to cloud vendors, CIO’s can liberate huge portions of their budgets and reallocate them to projects centred on growth and customer engagement. The faster this happens, the better. I was delighted to be asked to submit a piece to the 2015 BCS Digital Leaders e-book, which you can read on page 130 here. As a fellow and chartered IT professional of the BCS, I think its important to contribute and add value when I can to the societies publications. 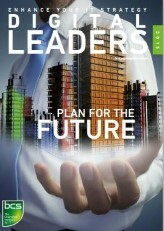 Digital Leaders is a publication written by IT professionals for IT professionals to help them influence their organisations away from using outdated practices, governance models and structures to a more cutting edge world, but without depriving people or communities. Aimed primarily at C-level managers and senior decision makers, Digital Leaders can enhance any organisation’s IT strategy – visit bcs.org/digitalleaders for related articles and blogs. Throughout 2014, the CIO profession was subjected to a baffling series of apocalyptic forecasts and dire predictions that have proven to be laughably wrong. Where did all these distortions and misperceptions about the stewards of IT strategy and execution come from? Well, times of extreme change and disruption in the business world—and 2014 surely qualified in spades for that designation—always breed lots of theories about what caused all that upheaval and where it will lead. The CMO would kill the CIO: The CIO and the CMO, we were told, were locked in a Texas Cage death match from which only one would emerge alive. Because CMOs have begun to embrace marketing automation technology, this theory went, the CMO would inevitably be in mortal opposition to the CIO. Mobile technology would kill the CIO:The CIO and the entire IT organisation would become wards of the CFO as superb mobile technology rendered many/most traditional enterprise systems obsolete. According to this yarn, only core financial apps would require the rigour of traditional enterprise systems, so the CIO would be tucked deeply under the CFO and become little more than a mechanic wearing a green eyeshade. Cloud computing would kill the CIO:In this daydream, the CIO and the entire IT organisation would join the woolly mammoth for a nice long dip in the tar pit, as the rise of cloud computing would eliminate any need for businesses to retain deep business-technology vision and strategy. Big data and its data scientist masters would kill the CIO:The rise of the omniscient data scientist would lead to a Borg-like collective mentality that would know everything about everything, making IT irrelevant. But a funny thing happened on those roads to CIO extinction, and here in 2015 we find that the best CIOs are not only alive and well and far from endangered, but are indeed creating more business value than ever before by collaborating eagerly and openly with those supposed forces of opposition. 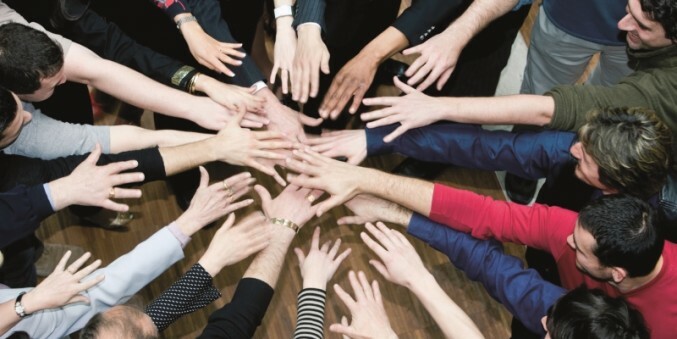 World-class CIOs and IT organisations have never—ever—worked in isolation, and in today’s dizzying high-change business environment, the collaborative approach is paying huge dividends. 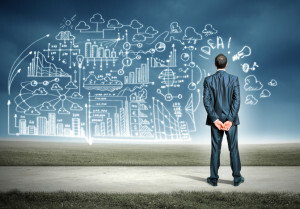 In 2015 and beyond, as the full impact of digital disruption takes hold across all industries, the winning organisations will be those in which the CIO engages relentlessly with the CMO, the CFO, the chief revenue officer, the CHRO, the heads of product development and manufacturing, the data scientist, the heads of service and support, and every other line of business leader to help conceive and create the digital enterprise. Because without that type of collaboration, without that infusion of strategic business-technology capability into every facet of the organisation, businesses will simply be unable to keep pace with the rapidly shifting and escalating wants and needs of customers, whether consumers or businesses. 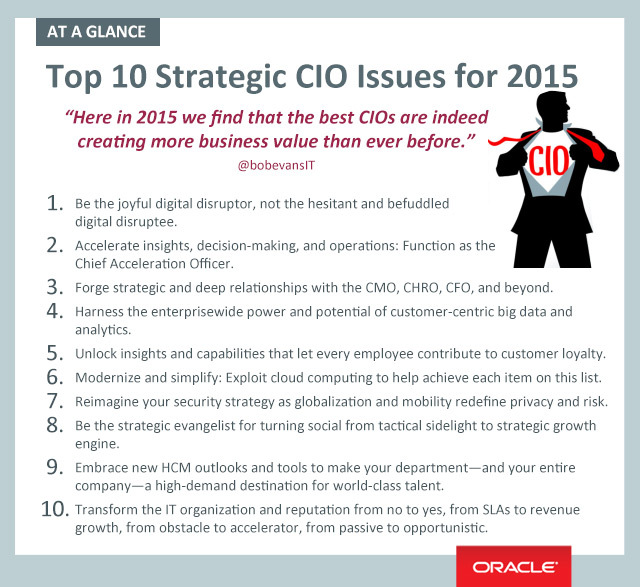 In that context, I’d like to offer my “Top 10 Strategic CIO Issues for 2015.” And I’d like to begin by sharing my Top 10 lists from the two previous years to offer a sense of continuity and perspective that, in combination with the 2015 list, reveal a profession and a corporate asset that are more relevant, more valuable, and more strategic than ever before. Simplify IT and Transform You’re Spending: Kick the 80/20 Budget Habit. Drive Customer-Centric Innovation Throughout Your Organisation. Why the Internet of Things Will Turn Your Business Upside Down. Shatter the Legacy Model of IT Budgeting and Expectations. Dazzle Your Customers—Make Them Love Your Company! Who’s on First? It’s a Mobile-First, Cloud-First, and Social-First World. Blending Art and Science: Why Product Development and IT Must Collaborate. Don’t Fight Tomorrow’s Wars with Yesterday’s Technologies. Embrace Your Ultimate Metrics: Customer Loyalty Moves to the Front. Tie IT Compensation to Knowledge-Worker Productivity. Design and Deliver the Transparent Enterprise. 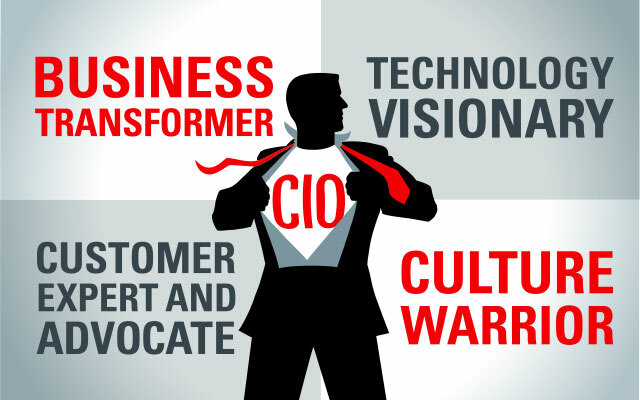 Clearly, all of those initiatives from 2013 and 2014 need to continue into 2015 and beyond, but for this year’s top CIO imperatives, I’ve broken the list into four categories that reflect the multifaceted capabilities the modern and business-driven CIO must have, and the wide-ranging responsibilities such executives deserve to have. As you’ll see below, those four subsets are Business Transformer, Customer Expert/Advocate, Business-Technology Visionary, and Culture Warrior. Here’s the 2015 Top 10 list, followed by an overview of each item. 1) Be the joyful digital disruptor, not the hesitant and befuddled digital disruptee. 2) Accelerate insights, decision-making, and operations: function as the Chief Acceleration Officer. Yes, this is the same as #9 on the 2013 list, but it not only bears repeating, but deserves a promotion up the list. 3) Forge strategic and deep relationships with the CMO, CHRO, CFO, and beyond. 4) Harness the enterprise-wide power and potential of customer-centric big data and analytics. 5) Unlock insights and capabilities that let every employee contribute to customer loyalty. 6) Modernise and simplify: Exploit cloud computing to help achieve each item on this list. 7) Re-imagine your security strategy as globalisation and mobility redefine privacy and risk. 8) Be the strategic evangelist for turning social from tactical sidelight to strategic growth engine. 9) Embrace new HCM outlooks and tools to make your department—and your entire company—a high-demand destination for world-class talent. 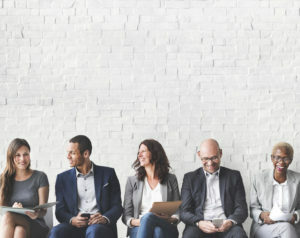 10) Transform the IT organisation and reputation from no to yes, from SLAs to revenue growth, from obstacle to accelerator, from passive to opportunistic. To carry on reading this piece, please visit the original article here.